Families looking for good value should consider a Mazda CX-9 Touring with a Premium Package. 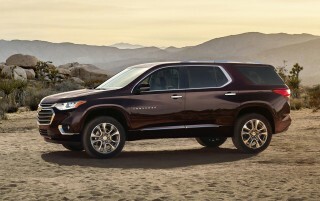 For thousands less than others, at $37,790, it delivers luxury-class goods without the price tag. The 2018 Mazda CX-9 meets or exceeds expectations for what a mainstream three-row crossover can be. Have you seen it? The Mazda CX-9 is a stylish crossover SUV that puts others on notice. 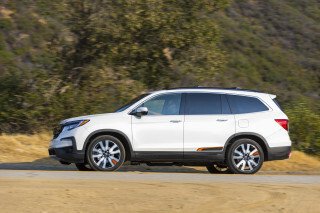 It's one of the best looking three-row crossovers on the market, and boasts several interior features and creature comforts found in much pricier SUVs. This year Mazda has made standard blind-spot monitors with rear cross-traffic alerts and low-speed automatic emergency braking on all models. The price has risen as a result—$610 on base models, which are called Sport. Stepping up in price and features, the Mazda CX-9 is offered in Touring, Grand Touring, and Signature variants. 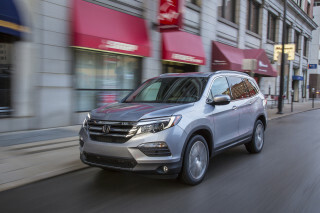 Front-drive is standard on all models, and all-wheel drive is available at every step of the way for an additional $1,800. All variants of the CX-9 are powered by a turbocharged 2.5-liter inline-4 that makes 250 horsepower on premium fuel. In most cases, the turbo-4 is good enough for us to forget that the CX-9 doesn’t have a V-6. A 6-speed automatic is the only option in all cases, but we can’t help but feel that more forward gears would help the CX-9 do better than 20- or 21-mpg combined in daily driving. Like most in its class, the CX-9 doesn’t offer alternative powertrains or electrification, but the elephant in the room is the Highlander Hybrid that does all of the above. Well, not looks. The CX-9 has that in the bag already. The Mazda CX-9 is elegant in its simplicity—a tall task for a seven-seat crossover. When it came out, the Mazda CX-9 was a revelation: The three-row crossover could have easily been drawn by distinguished designers wearing smart turtlenecks hailing from Italy. In reality, it was drawn by designers in Southern California—no word on turtlenecks. Fewer creases in the body used to indicate overt laziness, but the CX-9’s straight shapes work. The hood is longer than the front-drive architecture should allow, and the nose cants forward slightly in a way that has us asking if Mazda unlocked Volvo’s safe. Rear roof pillars are arched slightly forward, which helps shrink the CX-9’s mass somewhat. Inside, the CX-9 classes up the interior with good-looking materials, although most of them are glossy. Bring a cleaning cloth and Windex to grocery store runs, please. A low-set dashboard and infotainment screen open up the cabin for better light, but Mazda prefers to shrink the cabin around its occupants with materials. In all configurations, the Mazda CX-9 punches above its weight classification, but it stops short of being a heavyweight contender. For now. The 2018 Mazda CX-9’s turbo-4 is a reasonable replacement for a V-6, but the steering has us swooning more. The 2018 Mazda CX-9 fits in the automaker’s ethos of sporty, but regular, cars and crossovers. 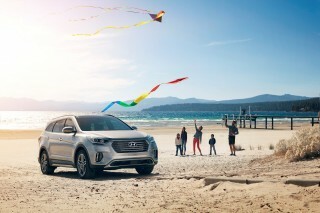 All CX-9 models are powered by a turbocharged 2.5-liter inline-4 that makes 250 horsepower and 310 pound-feet of torque, when running on premium fuel. Opt for the regular stuff at the pump and that figure drops to 227 hp, but Mazda says the loss isn’t discernible at lower speeds. OK.
There’s little lag in the way the turbo-4 spools up, but it can be caught flat-footed at low speed, which is a common trait for engines like this. 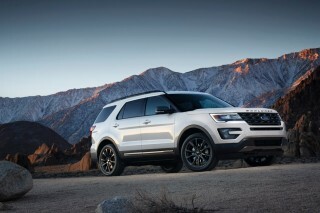 That engine is paired to a 6-speed automatic that’s commonplace on crossovers of this size, bordering on outdated. It’s smooth shifting, and keeps the CX-9 in the game, but may be missing forward cogs to make the CX-9 more efficient. Mazda turned to its steering braintrust to tune the crossover’s handling characteristics, and it shows. The CX-9 shoots and scoots like a smaller crossover, enough for us to reconsider how big, heavy people haulers should feel in the future. Front struts and a rear multilink setup are common in the class, and should be composed for most people in daily slogs. The CX-9 isn’t as tuned comfortably for the road as say, a Buick Enclave, but skipping the 20-inch tires for 18-inchers with more sidewall should help. Three rows on paper, the Mazda CX-9 is best as a five-passenger crossover with occasional flexibility. The 2018 Mazda CX-9 may be a three-row crossover on paper, but we’re skeptical of the claim for now. Driver and front-seat rider get power-adjustable seats in most trims of the CX-9, which should adjust to fit a wide range of body types. The seats are spacious, but not necessarily comfortable—in fact, they’re pretty firm. Let others take the wheel and sit in the second row, where the Mazda CX-9 offers more leg room than the Honda Pilot. The second-row seats are similarly flat like the first row, but they recline. The third row is only suitable for children or comic-book archenemies (we all have a couple) and lack leg room for adults on long hauls. With the third row in place, the CX-9 sports 14.4 cubic feet of cargo room, but most of that is below the window line. Fold flat the wayback and that space grows to 38.2 cubes, which should be suitable for ambitious runs to the home-improvement palace. The lack of leg room boils down to a compromise. The Mazda CX-9 measures 199.3 inches, nose to toes, which is comparable to other crossovers that comfortably hold more people. But Mazda’s CX-9 is appointed more lavishly (aside from the seats) and encloses its occupants a little better. Win some, lose some. Don’t let the number fool you: A lack of crash-test data keeps the 2018 CX-9 from scoring higher. 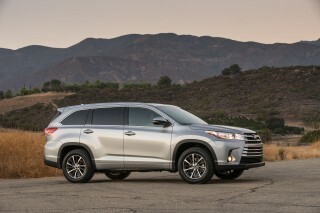 The crossover is a Top Safety Pick by the IIHS. A lack of complete safety data is the 2018 Mazda CX-9’s issue here, not what’s on the record already. The IIHS scored the Mazda CX-9 with top marks on all of its crash tests, including a “Superior” rating for front-crash prevention. Optionally available headlights netted an “Acceptable” score by the agency that led to a Top Safety Pick nod. 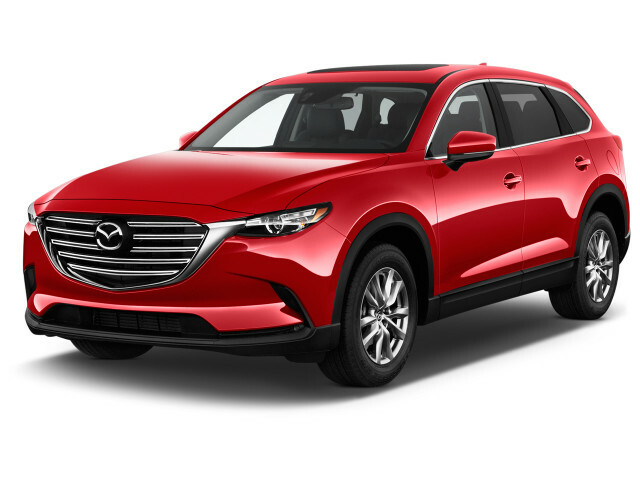 One note about that rating: Getting a Top Safety Pick edition of the Mazda CX-9 requires opting for a Grand Touring or Signature version; Sport and Touring editions only received a “Marginal” rating for their headlight efficacy. Low-speed automatic emergency braking is standard across all models, which can help avoid front crashes at speeds less than 19 mph. 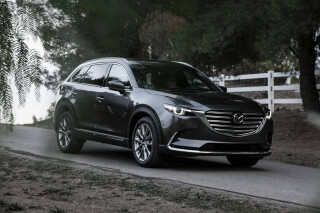 Grand Touring and Signature versions of the CX-9 get a supplemental system that can help avoid or reduce severity of higher-speed collisions. Beyond advanced safety measures, the Mazda CX-9 is equipped with a standard complement of airbags for all passengers, traction and stability control, and a rearview camera. New for this year, all CX-9s are equipped with a brake-based torque vectoring control system that could help prevent crashes by aiding in maneuverability. Good standard features and excellent value more than make up for a fussy infotainment system in the Mazda CX-9. 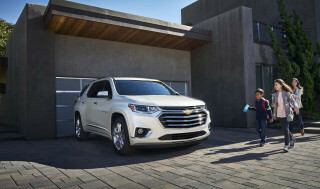 Three-row crossovers are a slippery slope: Come for the capability, but leave without a college fund. This year’s Mazda CX-9 adds $610 to the starting price, now at $33,070 including destination, but adds standard blind-spot monitors with rear cross-traffic alert and low-speed automatic emergency braking on all trims—Sport, Touring, Grand Touring, and Signature. Base versions of the CX-9 are equipped with 18-inch wheels, cloth upholstery, three rows of seats, power everything, Bluetooth connectivity, and a 7.0-inch infotainment screen. 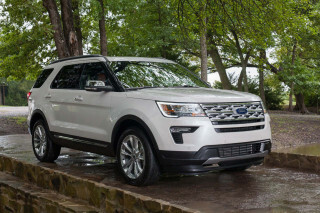 Stepping up to the Touring trim adds leather upholstery, an upgraded 8.0-inch screen for infotainment, a power liftgate, and power adjustable front seats. Starting at $35,900, including destination, for front-drive versions, that’s a relative bargain compared to other three-row crossovers. Not convinced by that gear? 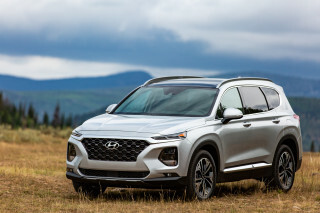 The Grand Touring trim adds 20-inch wheels, adaptive cruise control, dual-pane sunroof, parking sensors, a head-up display, heated first- and second-row seats, heated steering wheel, and adaptive headlights. Top-of-the-line Signature trims get the full boat—a relative luxury car by Mazda standards. Mazda CX-9 Signature versions get softer nappa hides, Bose audio, rosewood interior trim accents, LED headlights, and LED interior lights. Mazda offers an add-on package for Sport trims that includes adaptive cruise control, or an optional package for Touring versions that adds Bose audio, sunroof, parking sensors, and satellite radio. Our quibbles with the infotainment system boil down to a lack of a touchscreen and a confusing clickable system that requires more attention than we think it should. Changing the radio station can seem like an unnecessarily long task, and entering destinations into the navigation requires saint-like patience. Rumored Apple CarPlay or Android Auto capability isn’t the answer here—the small Mazda clickwheel isn’t a replacement for a touchscreen. With a light right foot, the 2018 Mazda CX-9 manages combined mileage in the low-20s. The 2018 Mazda CX-9 relies on a small-displacement, big-turbocharged inline-4 to provide its power that makes a Dr. Jekyll-Mr. Hyde situation for fuel economy. Opting for front-drive improves things slightly, according to official tests: 22/28/24 mpg, according to the EPA. Among its class, that’s fairly fuel-efficient without help from batteries. But in our real-world testing we’ve had difficulty matching those figures. That’s likely due to the prodigious weight and small engine that needs boost to come up to speed. With a light right foot and some help from a tailwind, it may be possible to achieve the numbers offered by the EPA. That said, the Mazda CX-9 is still among the thriftiest in its class.